Home News Announcements Beech Mountain Resort to Open Friday! November 23rd! 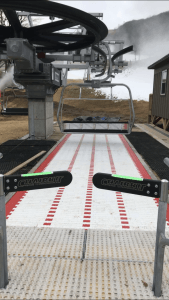 Beech Mountain Resort to Open Friday! November 23rd! For more than 50 years, Beech Mountain Ski Resort has welcomed countless visitors from around the globe to enjoy its snow sports and views from 5,506’. This winter, the mountain has upped the ante with two brand-new chairlifts, multiple snowmaking upgrades, and new slope lighting. Director of Marketing Talia Freeman says the resort is scheduled to open on Friday, November 23rd. “We remain focused on improving the guest experience and we recognized the need to give our customers a first-class experience not only with great skiing, but with food, entertainment and continued facility upgrades,” she said. 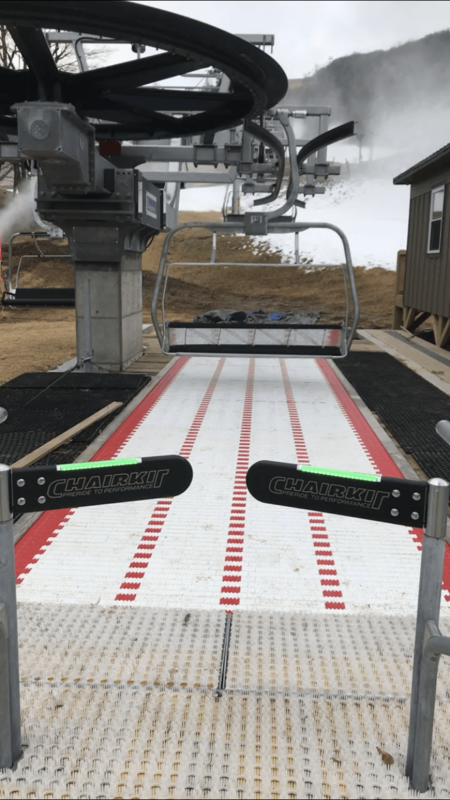 In response to increased visitation over the last few seasons, the updated chairlifts will decrease time spent reaching the top of the mountain, increase the total number of skiers and snowboarders to summit, and increase overall riding comfort. One of the main lifts that has been replaced, lift five, which ascends to the 5,506-foot summit and was originally built in 1987, will now offer 144 chairs with a six-and-a-half-minute travel time accommodating 2,400 people per hour. Previously a double chair lift, the second of the two main lifts on the mountain, lift six, has now been switched to a quad chair lift. Also making the trip to 5,506 feet, lift six now features 106 chairs offering a six-and-a-half-minute travel time with a capacity of 2,000 people per hour. Beech Mountain Ski Resort will hold a formal celebration and ribbon cutting for the new lifts on Dec. 1. Other upgrades include more than 2,500 feet in snowmaking line and additional snowmaking machines. To top it all off, over 100 brand new LED slope lights will guide skiers and snowboarders as they descend the front side of the mountain. Mountain-wide improvements will compliment a season’s long series of concerts and performances during the Winter Music Series. Starting Dec. 15, Beech Mountain Ski Resort will host 25 shows over the course of three months. The highly-anticipated lineup includes concert headlining Grammy Award winning bluegrass and roots band, The Steel Drivers. 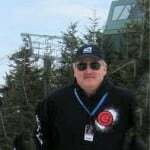 To learn more about the Beech Mountain Ski Resorts mountain-wide improvements and the Winter Music Series, visit their website at www.beechmountainresort.com. 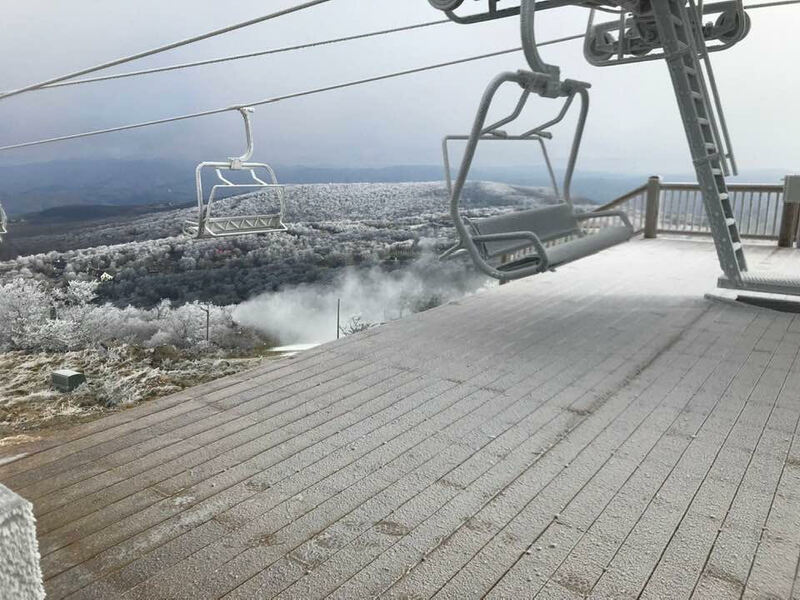 Previous articleWest Virginia Opens Ski Season; Four Ski Areas Now Open in the Southeast! Next articleHappy Thanksgiving Everyone! Lots of Ski Resort News Today!